What is the National Fitness Campaign? We are incredibly excited to bring this project to San Marcos at an under-utilized area of San Elijo Hills Park. This project will provide an excellent location to meet up with friends & neighbors or to meet new people while doing something active & healthy. We have received the initial seed grant & are establishing a local campaign that will include several sponsorship opportunities for both individuals & businesses. Be on the lookout for more information & sign up below for updates as this exciting project unfolds. 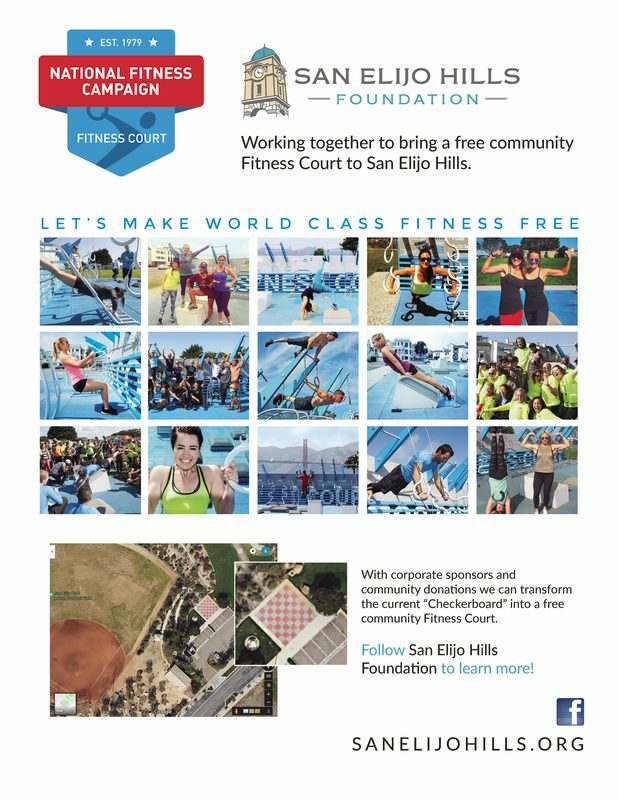 ​ Sign up below to receive news and updates regarding the Fitness Campaign Project.